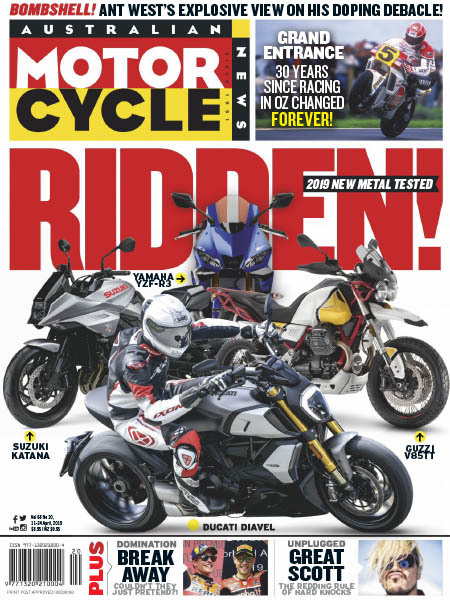 Australian Motorcycle News - 04.11.2019 » Download PDF magazines - Magazines Commumity! Australian Motorcycle News has been the fortnightly bible for all things motorcycling for well over 60 years. 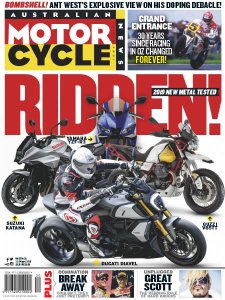 It’s the latest news, the most comprehensive bike tests, the most in-depth racing coverage from club level through to world championship level and it’s written by people who love, live and breathe motorcycling. Whether it’s content, photography, industry access or outright respect, no other motorcycle title comes close.